If a deal with Loudoun County goes through, DC United’s new second division professional soccer team could have Loudoun in the name. The Board of Supervisors will hear publicly for the first time on Jan. 10 about a proposed $15 million financing deal to bring DC United team offices, training facilities, and a new second division to Philip A. Bolen Memorial Park south of Leesburg. The broad outline of that deal, published Friday in board meeting materials, show the county would lease 54 acres at the park to DC United’s owner and operator, DC Soccer Management Company LLC. The Division II men’s professional team would play in the United Soccer League, a league with 33 teams in the U.S. and Canada that was founded in 2010. As a second division team, it falls directly under major league soccer. DC Soccer Management has said although final naming authority for the second division team name lies with the league, it believes it can incorporate Loudoun into the name, and will advocate that with the league. The proposal, in the works for years, was announced Thursday. The company would build approximately 40,000 square feet of headquarters and training facilities for DC United and the United Soccer League Team, four soccer fields, and a modular stadium for the USL team with at least 5,000 seats. The team’s franchise agreement requires it to begin competing in spring of 2019. The county would finance the cost of that construction, up to $15 million. Part of the site is used today to dump dirt and rubble from excavation; the county will be responsible for clearing that land. The county will also be responsible for building 1,000 parking spaces to serve the stadium, alongside the 691 spaces already available at the park-and-ride lot at the park. The cost of clearing the site and building the parking lot is estimated at $7 million. The company will pay rent until it has paid off county financing, likely over a term of 30 years. County staff members also anticipate significant work would be required at the stadium after 15 to 20 years. After paying back county financing, the company would pay rent to the county according to a marketing and revenue sharing agreement or a fair market rate determined by independent auditors. The proposed agreement anticipates a 40-year lease with an option for 10 year extensions, depending on the terms of the financing obtained by the county. The rent agreement may be renegotiated after 20 years. The county and team will also lobby the General Assembly to give Loudoun the authority to collect an admissions tax at the stadium. If the county wins that approval, the admissions tax could be used toward the county’s financing for the project. If the stadium is expanded beyond 6,000 seats, more parking would likely be required. One suite at the USL stadium will be named the “Loudoun County Economic Development Suite” and county government leaders will have the first choice to use the suite. If the United Soccer League’s affiliation with Major League Soccer ends during the lease, DC United would be required to locate another second division team in the county. According to the county report, the land proposed for leasing to DC United is valued at $23 million. Then, there’s this little juicy tidbit: “One suite at the USL stadium will be named the “Loudoun County Economic Development Suite” and county government leaders will have the first choice to use the suite.” I’m no lawyer, but that sounds a lot like a kickback/bribe. So, county “government leaders” vote OUR tax money to pay for a “stadium” which the rest of us will have to pay a special tax just to visit, for a for profit corporation, while our “government leaders” yuck it up with drinks in some sky suite? And all at the same time as we’re going to hear from the School Board about the need for far more money than they thought. This is where we’re at? This is considered acceptable? Wake up Loudoun Taxpayers! You couldn’t make this up in a case study about bad governance… nobody would believe it. What exactly could the county ever do that you would find acceptable? You’re obviously opposed to economic development, attracting visitors to spend $$$ in the county and just civic pride. Would you rather the county not engage this team and raise property taxes to give the schools whatever they ask for? Seriously, what would make you happy? First, why would anyone pay for “civic pride?” We should have that already. Easy one LF. If i recall correctly, a former BOS’s bought the mass of land outright, in cash, without putting it to the people. We have to vote on fire stations, libraries, schools, but that transaction…? They just did it. There was a stink about it then, rightfully so. Be that as it may, we have Phil Bolen Park and it’s great. 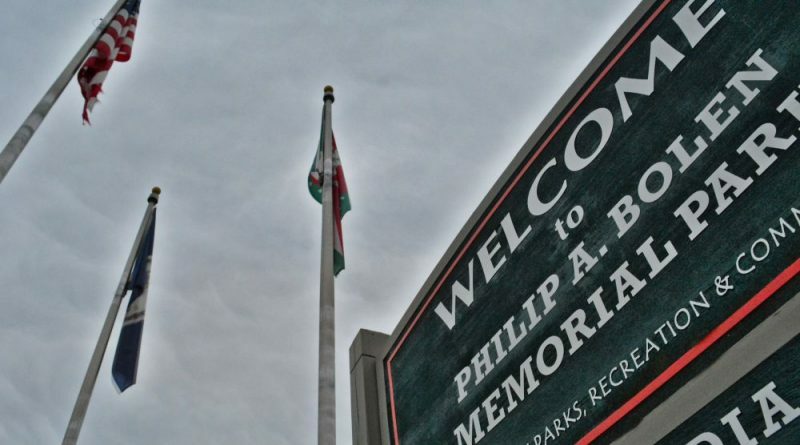 Phil was a really decent individual. According this article, the piece in question is worth 23 mil. How about we sell/or lease it to them for 23 mil,? They get a private investment firm to build their HQ, and the roads, and everybody’s happy. We got the park for free, and pocketed some dough for the schools. Why does it have to fall to the taxpayers? If this is such a great deal, why aren’t private investors paying for all of this? Why are the tax payers on the hook? If it’s a county gig, you know it’s going way over budget. it always does. The price has already gone up 7 plus mil just since the first article about this issue. Who’s on the hook for the roads? They don’t say, thus by default, that means me and you are, while we have overburdened roads falling apart under our wheels. Doesn’t this whole ” One suite at the USL stadium will be named the “Loudoun County Economic Development Suite” and county government leaders will have the first choice to use the suite.” sound a little distasteful? Put it up to a vote. Let the people decide. This is raw, in your face corporate welfare. And don’t forget the “special tax” you’ll have to pay to get into a site you’ve already paid for. Not only do we pay for everything up front turn key, we also get to pay for all of it twice on the back end. They pay nothing. Are there not more pressing needs here at home? You know who’s probably most ticked off LF? Danny Snyder. I would be, he got ripped compared to these people. Chris, I believe you are incorrect on the issue of how the land was purchased. The County property where Bolen Park lies was part of what was then called “Central Loudoun Park Site (Shellhorn Property)” which consisted of 460 acres and was placed on the November 2001 ballot for approval at $16.26 million. The bond question was passed as part of a $46.5 million General Obligation Bond (not part of a school bond) which included the Rust Library renovation, Eastern Loudoun Recreation Center and the Carver School Rehab (now the Senior Center). The bond was approved by 61.2% of the voters. A majority of supervisors seem in favor of defacing a pristine piece of land bordering a scenic river just south of this project with the argument of significant tax revenue, and here we are talking about giving away our taxpayer money to a LLC. You know if this is not privately funded, we’ll never see most of these dollars back. Well at least we’ll have a shiny stadium to enjoy. And we’ll have to pay a special tax when we go, to pay for a project WE ARE ALREADY FUNDING UPFRONT. Oh but no worries, turns out our county official will be able to party on champagne and petits fours in their shiny private suite while the rest of us riff raff finance all this. This is appalling on so many levels. You couldn’t make up this story if you tried. 15 million !!! A donation of our money to a sports team? No! How would that spread out as a raise to teachers, Deputies, or firemen? And, what is wrong with the One Loudoun site. Since there is no baseball stadium as promised, a soccer stadium should fit. Plus there is plenty of commercial office space right there. Not sure if it changed under the Republican tax plan, but one reason these sweetheart deals go through is because of federal subsidies. Municipal bonds are not federally taxed. So Loudoun gov’t pimps out its low bond rates to private firms (say 3%) (one reason they are so low is because of no federal income tax). The firm pays off the bonds for the county at a lower lease payment they could ever receive on their own. I am not a fan of any of these federal subsidies to cities. It is especially egregious because it really only helps the affluent cities like Loudoun with low rates and available bonding $ to spare. I guess if it’s available, not a bad idea to use it but I’m sure many RINOs on the BOS would defend these subsidies to the end. Just big tax-and-spend liberals in sheep’s clothing. Thanks BH. I stand corrected.